Grace Martial Arts is a certified school program with Karate For Christ International and Confident Kid Martial Arts. Classes are taught by caring Black Belt instructors in Florida and Alabama. Senior Instructor Mark McGee is a 7th Degree Black Belt and has been involved in martial arts for more 57 years. He’s taught martial arts since 1964 and from a Christian perspective since 1971. Sensei McGee is co-founder and director of Grace Martial Arts. The primary ranking system for Grace Martial Arts is Yon Ch’uan Martial Arts. The ultimate test of any martial arts system is if it works in real situations. Grace Martial Arts emphasizes training and techniques that work successfully against single and multiple attackers in a variety of real-life situations. Our approach is to teach children, teens and adults to escape from danger quickly, effectively, and compassionately. If you would like more information about Grace Martial Arts classes in Florida or Alabama, contact Mr. McGee at gracemartialarts1@gmail.com. Could you please provide me with information for you next classes starting? I have a 8 year old boy new to martial arts. What fees are associated with your classes/testing/uniform? Hi, Bridget! So nice to hear from you. Our new classes will begin in the Fall with the start of the new school year. We follow the Hillsborough County school calendar for holiday breaks and vacation time. The only costs are $5 per class and $10 for uniform. We do not charge for testing students. We supply the school patch, belts, graduation certificates, and training videos and equipment. Thank you for your interest and we look forward to meeting you and your son in September! Would a man age 55 be welcome? What Are your class times. I would be traveling from Largo. This may be just what I have been looking for. Hi, Mike. Absolutely! I’m 65 and we have some men in their 50s. You would be most welcome. We have one class a week. It’s on Monday evenings from 6:00-6:45. We also have a sword class from 6:50 – 7:30pm. 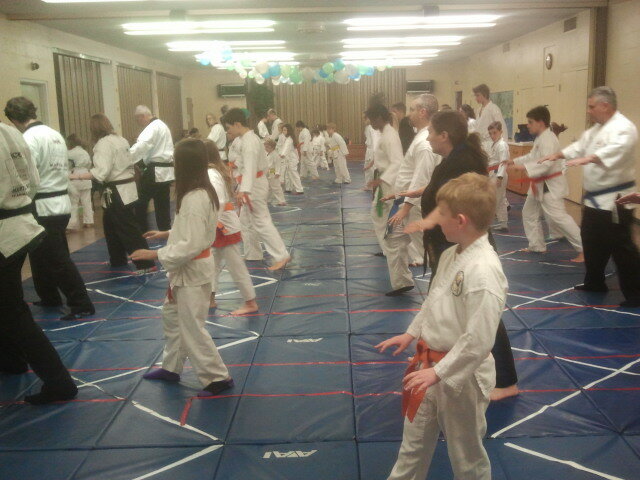 New students use a bokken (wooden sword) to start. Both classes are free. The new trimester begins on December 2nd. Hope you can join us! Hello, is there anyone who teaches Christ based martial arts in New Tampa or Wesley Chapel area ? Hi, Tina. Grace Martial Arts has a class in the Lutz area. If you are interested, please email your contact information to gracemartialarts1@gmail.com and one of our GMA instructors will respond. Thanks!